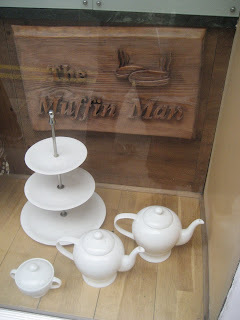 Taking Tea with Catherine: Muffin Man! 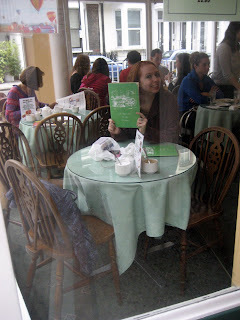 Obviously I'm still blogging about London, and nothing but. I'll probably be on this kick for a while (or until I run out of pictures, which will take some time.) Surprisingly, so far I've made little mention of my tea experiences on this trip, and there's a reason for that. I didn't sit around drinking tea the entire time I was there. No, we moved around a lot, and on the more jet-laggy days I even drank coffee (shock!) Of course there were some amazing moments of relaxing with a requisite spot of tea, and here's one of those moments. There are many places to take tea in London. Duh. The same goes for New York, really, but they've had it down to a science for centuries, where in my hometown its history is more of a love/hate relationship. So it's hard when I get my rare few days every 3-5 years or so to pick places to take tea in my second favorite city ever. I've had suggestions, and ideas for next time (whenever that is). So the plan goes this way: pick an old favorite, and try one new (to me) place. If I can do more than that, great. If not, fine. Now if I had only one hour to spend in any part of London, it would likely be in Covent Garden. After that, it would be The Muffin Man. It represents to me all that it cozy in Kensington. 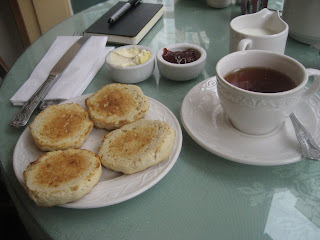 It's simple, not overpriced, they're generous with the clotted cream, and the scones are THE BEST IN THE WORLD!!!!!!!! Oh, and the tea's good too. They have a small selection of teas, but it's satisfying. Mind you, I've had not-as-good scones there. It seems this happens every other time. So Visit 1: Amazing, Visit 2: Average, Visit 3: Exquisite, Visit 4: Okay...I think this was Visit 5. Do the math; it was wonderful. I plan to post a short video of our visit there, but until then, here are some pics. We'd just come from wandering in Holland Park, and it was the ideal next move. Or not move; just staying put for a while. We had "our table"...the one I've felt most at home with since my first time in 1998. 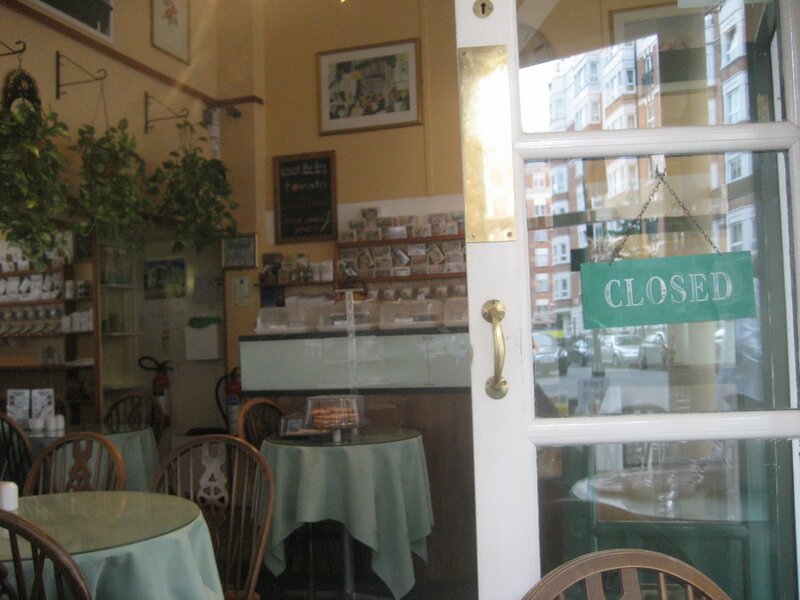 It has the view of Wrights Lane, which is right off of Kensington High Street, and the tube station. The scones, in all their homemade goodness. I remember the look of contentment on your face as you bit into a Muffin Man scone for the 1st time in 5.5 yrs...I should have captured that on camera! I really like the ambience of The Muffin Man, too (except the bathroom that reeked of cigarette smoke...I think my sore throat was just coming on, so maybe I was a little hypersensitive to it, but anyway). Yeah, The Muffin Man is worth it and I would go there again if I ever go back.